Naga City - I guess we shall never stop having new cafes here in our city. 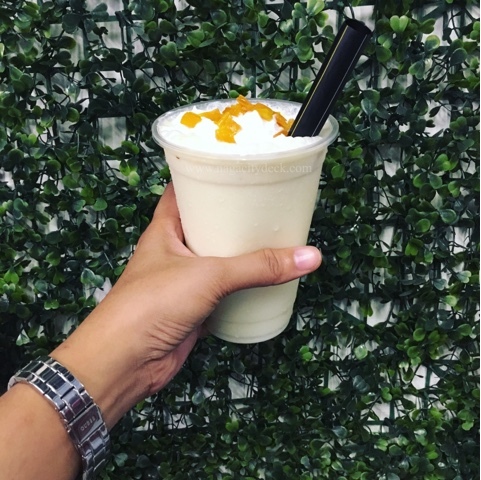 I have written many reviews and I'm running out of words to uniquely describe each new coffee shop. But as long as there is something unique in the cafe, then there will be no difficulty as to how we can showcase them. Since we cannot control the growth of cafes, we need to look for their uniqueness and show to everyone how they differ and how they are competitive to one another. The more options there are, the happier the customers are. 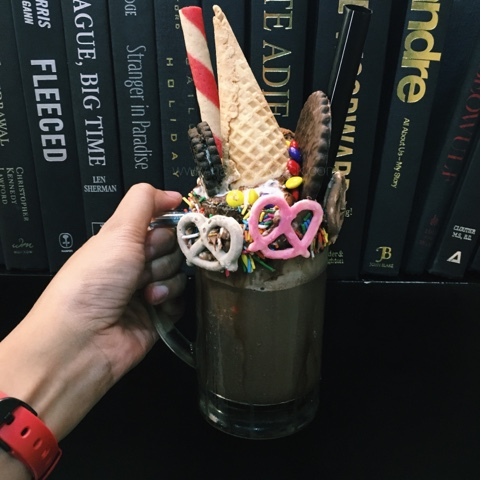 Here's one cafe in Naga exploring on the cranky and creative side of drinks and food. More like events and persons becoming names of drinks and food. 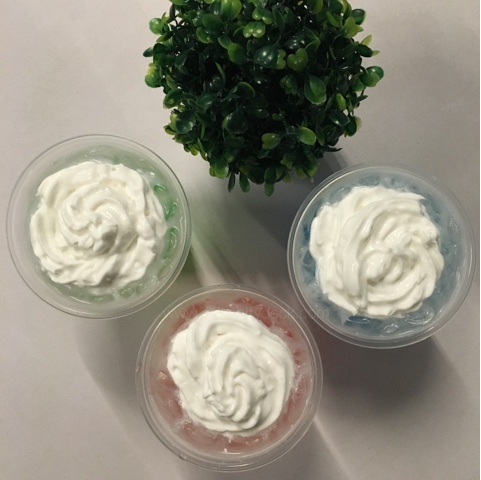 Just like the Birthday Frappe or Debutante Frappe. But let's start first as to where this cafe is located. 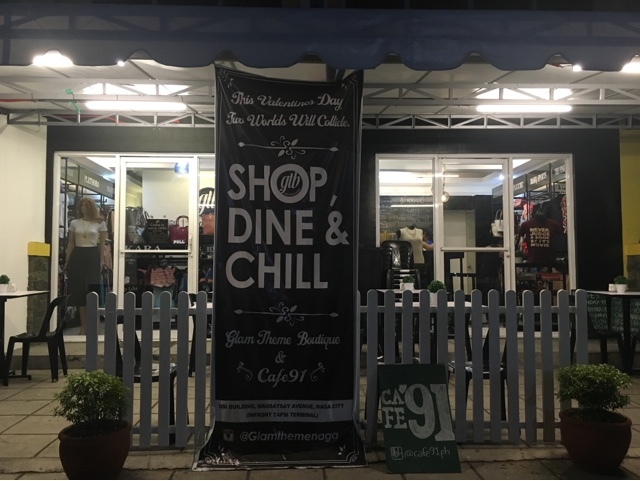 Cafe '91 is located at Glam Theme Boutique (GTB), right in front of Tapsi Terminal along Magsaysay Avenue now located at the second floor of Avenue Square since February 2017. 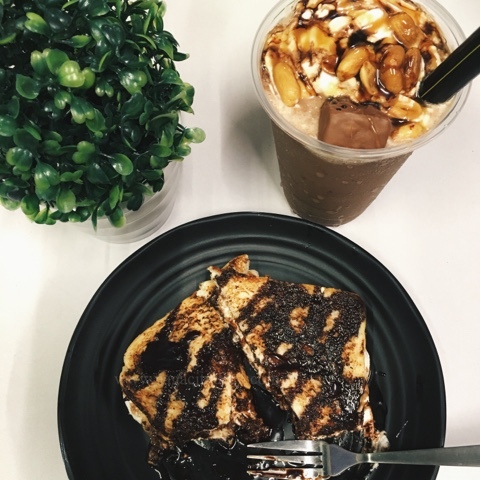 Technically, GTB is the first boutique with an in-house cafe in Naga City. This cafe will never go wrong as to its location since it's right in the gastronomic and entertainment strip of Naga. 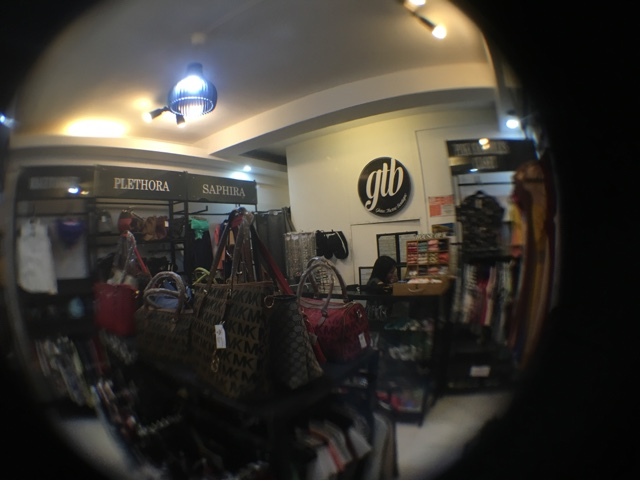 The concept of GTB is basically SHOP, DINE and CHILL. 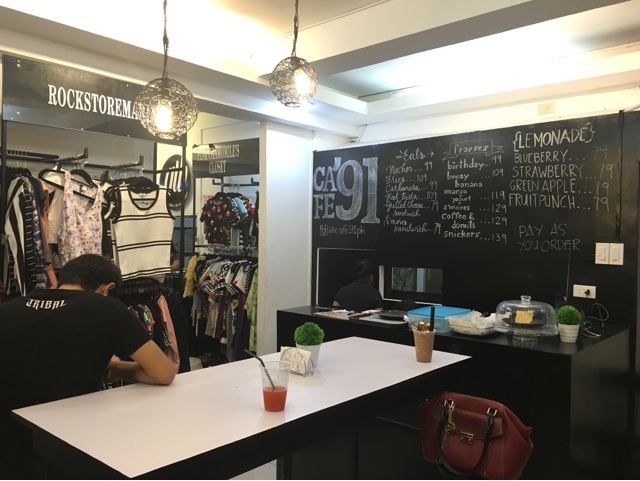 The boutique is not entirely for ladies, they also have apparels for men as well as kids. Accessories of all sorts from well known and trusted online sellers in Naga comprises the shop. HERE's a blog post featuring Glam Theme Boutique. 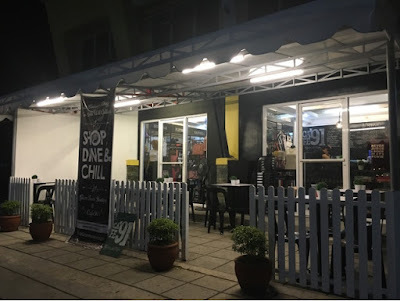 Menu of Cafe '91 starts with The Eats like: Nachos, Fries, The Carbonara, The Red Pasta, Grilled Cheese Sandwich, S'more Sandwich, Rocky Road Brownies. Price ranges from P35 to P109. The Nachos and Fries which are best sellers, come with black beans. So, if you're not fond of them, you can always tell them not to include black beans in your order. 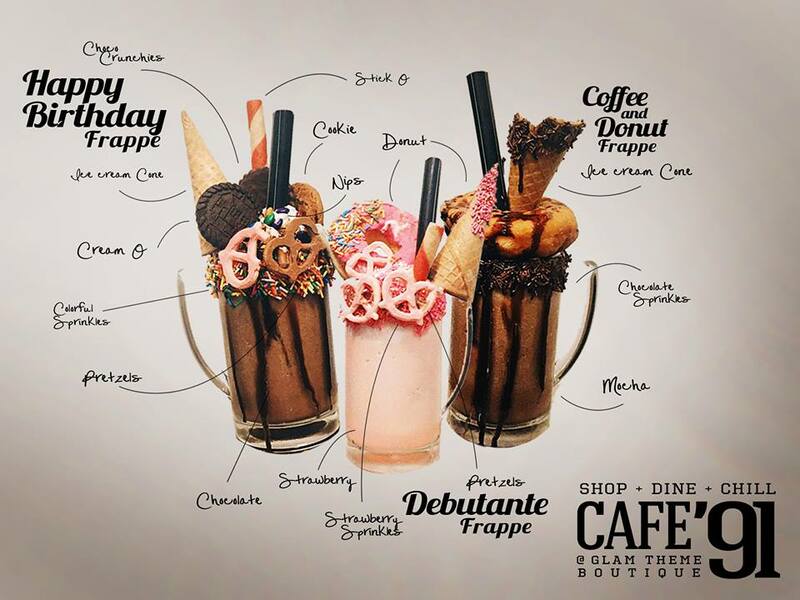 For Frappes, Cafe 91 offers: Birthday Frappe, Boozy Banana, Mango Yogurt, S'mores Frappe, Brownies Frappe, Coffe and Donut Frappe, Snickers Frappe, Happy Birthday Frappe and the Debutante Frappe. Price ranges from P99 to P149. 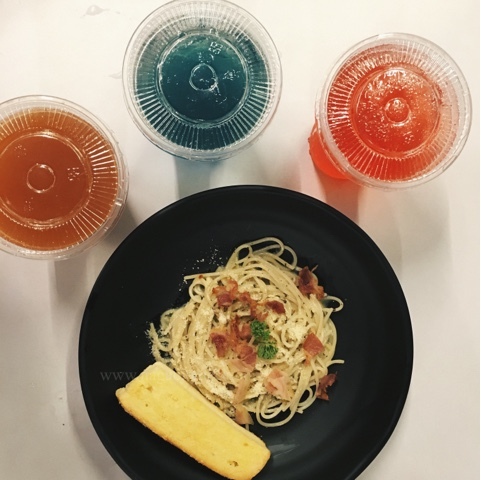 They also have lemonades such as Blueberry, Strawberry, Green Apple and Fruit Punch for only P79. 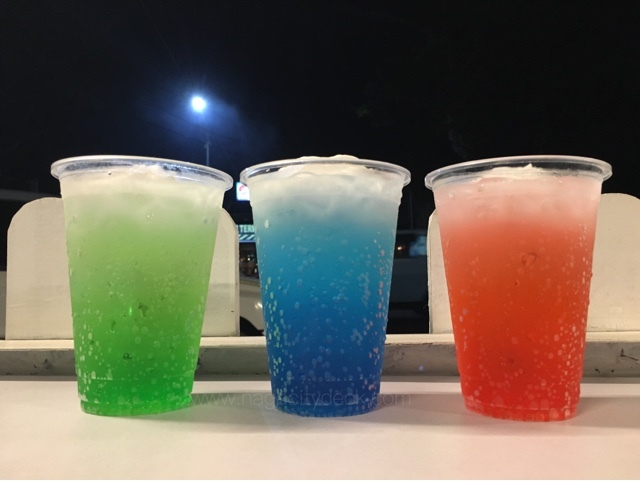 Flavored soda is only at P89 with choices like Blueberry, Strawberry and Green Apple. 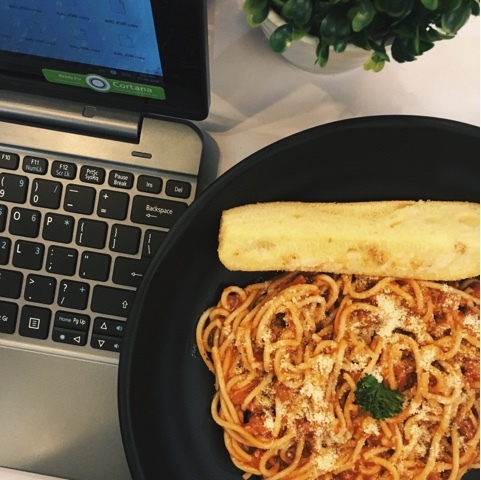 What I really enjoy in this cafe is the opportunity to do multi-tasking lol. I know the ladies can support me on this, window shopping is already therapeutic, shopping in a very affordable boutique is a medicine for the budget conscious plus having presented the food of Cafe '91? It's just pure satisfaction guaranteed. At least ladies, your partners will never get bored waiting for you to choose your clothes because they can order a drink or food, right? 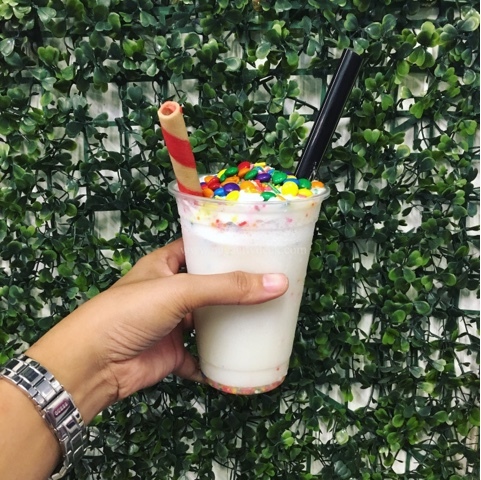 Birthday Frappe perfect for the birthday celebrant or just when you feel like a vanilla based frappe. 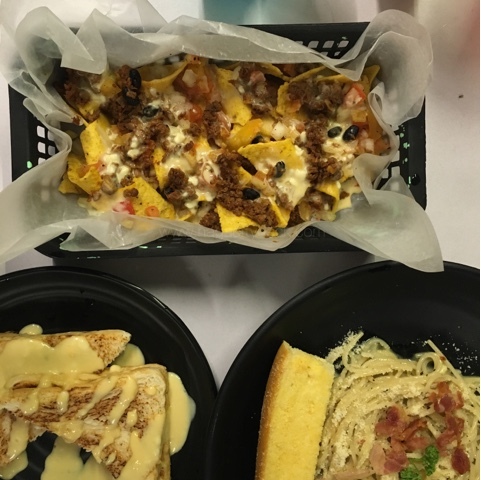 Nachos, Grilled Cheese Sandwich and The Carbonara. For best taste, consume the Grilled Cheese sandwich while still warm. My top recommended food will be the S'mores Frappe, Snickers Frappe, Mango Yogurt Frappe, Grilled Cheese Sandwich, The Red Pasta and also the fries. It's really amazing how the owner just adds up something new on the menu as the days pass by. Personally, the menu seems to fit the personalities of our teenagers and the young at heart. 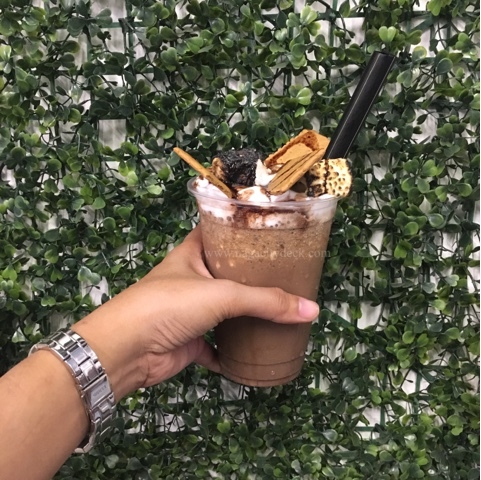 So there, if you haven't visited this shop, Cafe '91 is so easy to find along Magsaysay Avenue and tell us your feedback and your favorites too.